You’ve seen adaptations and re-imaginings of author Bram Stoker’s seminal work Dracula, but never quite like this. 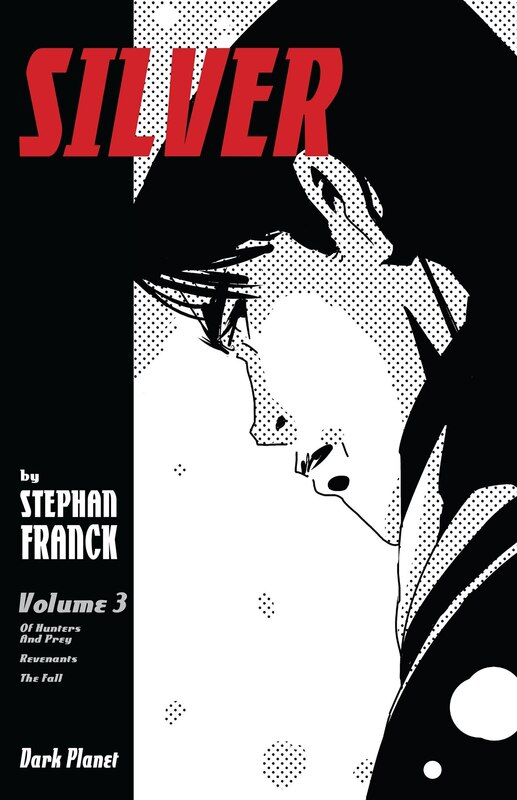 Writer and artist Stephan Franck has taken the Dracula mythos and the foundation that Stoker built to create a unique yarn of horror and heist in his story Silver. The conceit sees an Ocean’s 11-esque caper that has con men and women eyeing the ultimate score: treasure from Dracula’s castle. This week, Franck launched a Kickstarter campaign in conjunction with his Dark Planet Comics company to bring the third volume of Silver to more eyes of more readers. Mr. Franck spoke with me recently about the idea behind Silver, staying true to the world that Stoker established, and what to expect from his Kickstarter campaign. 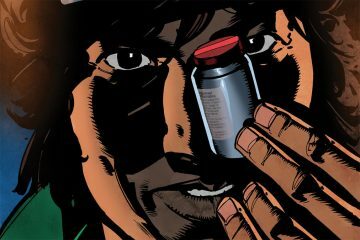 FreakSugar: Before we discuss your Kickstarter campaign, for folks who are unfortunate enough never have to been exposed to the book before, what’s the conceit behind Silver? 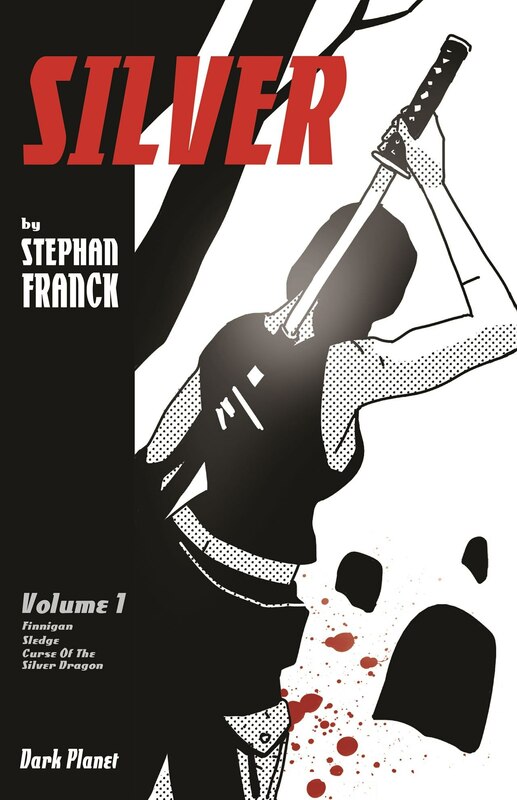 Stephan Franck: Silver is the continuation of the original Bram Stoker Dracula universe, set 40 years after the novel, into the noir/pulp era of the 1930’s. A Group of con men team up with Rosalyn “Sledge” Van Helsing (grand daughter and last remaining relative of Abraham Van Helsing and vampire-hunter in her own right), to steal a mythical treasure hidden in Dracula’s castle—what could possibly go wrong with that plan?! FS: What can you tell us about the rag-tag group of characters found in Silver and how their personalities move your story? FS: The story adapts ideas from Stoker’s work wonderfully in a way audiences haven’t been exposed to before. What was the research process like when putting together the pieces of Silver? SF: Step one was to keep the Stoker novel unchanged at the core of the story, and to extend it in every direction-giving him more ancient mythology, expanding the secret world of vampires that Dracula belongs to, discovering what happen to the novel’s characters, finding their descendants, and meeting entirely new people. The inspiration to broaden the world came from watching a 1930’s/40’s movie show on TV late every Friday night when I was a kid. It introduced me to–just to name a few–Fritz Lang and Orson Welles, but also awesome B movies like Fu Manchu or Nick Carter (the detective, not the singer), as well as screwball comedies like the Thin Man series. In my imagination, all those movies connected into some sort of meta pulp/noir continuum in which, somehow, The Public Enemy, Hounds of the Baskerville, King Kong and Love Affair existed in the same universe. So that really is the world of Silver, a pre-google-map world if you will, filled with awe, mystery and adventure, and all in glorious black and white. Then, the last step was to take those beloved tropes and fascinations, and animate them through real characters. Fully realized beings that have deeply human flaws, real emotional journeys, and tough choices to make. It’s the combination of those two sets of elements that elevates it beyond the loving and entertaining homage to be a modern and affecting story. FS: Following up on that, there’s a loving attention to detail and authenticity to the locales and fashions of Silver that makes my history major nerd heart giddy. Nothing in what I’ve read feels the least bit anachronistic. How did you prepare the tale to give a careful eye to that level of detail? 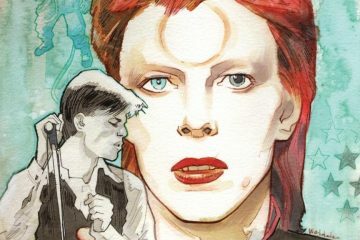 SF: Part of it comes from having developed a feel for the aesthetic of that time period through those movies, but also a familiarity with actual objects of the era. My father was an older gentleman, who, when I was little, was the age of most people’s grandfather, and he had objects from that period. For instance, he had been a medic on the front line in WW2, and still had his army emergency kit metal box, or his medic badge that looked like a heavy medal, that my brother and I would play with. He was also a photographer, and had kept old equipment we were fascinated with. There are also weird artifacts in my family, like a knife (only 1 out of 12 in existence) that belonged to Herman Goering’s personal bodyguards, that my grandfather (on my mom’s side) stole from Goering’s hunting cabin in the Black Forest when he escaped from Auschwitz (yes, it’s a true story). So we had objects like that laying around the house, and I developed a certain sense of how they look and feel. That’s also the fun of Pulp: to take a believable sense of the era and apply it to imaginary stuff. For instance, there was no such thing as a SWAT team in 1931, but I needed one, so if there it did exist, what would that looked like? FS: You’ve described Silver on your Kickstarter page as Ocean’s 11 in Dracula’s castle, which is as apt a description you can get for the book. What was it about marrying the heist and horror genres that made sense to you? SF: I think there is a deep thematic kinship between con men and vampires. Both are creatures of the night, predatory in nature, lurking on the outskirts of society, and not engaging emotionally with other people in a productive fashion. So on one side, we have conmen who are figuratively soulless, and Sledge who is probably pretty close to a complete spiritual burnout on account of spending all of her time lurking in cemeteries making sure the dead stay dead, and on the other side, we have the undead, who are literal walking dead and bottomless pits of self-indulgent nihilism. You clash the two together, and it gives you an interesting examination of what it is that makes one really feel alive. Is it just walking around for thousands of years, or is there something more? FS: As I said before, I adore how you’ve taken the original Dracula source material and added to his history and world. What is it about the character and universe that made personally drew you to them creatively? SF: I almost saw Dracula as a great tragic character. He had been unmoving in his undead decadent soullessness for centuries, and then Mina comes along. At the end of the novel, he finds a moment of redemption, and—we are lead to believe—a spiritual relief in death. But what if he actually hadn’t died? What if he had had to carry on? How long would have the “Mina effect” stuck? How long before the light she brought to his life recedes into a deep background and nihilism takes over again? But know he is also haunted by the nagging knowledge that there was—and maybe still could be more. He’s now double the tragic. That’s the character I wanted to explore. A character with great choices to make. FS: You’ve had quite an impressive history in storytelling for the film and television industry, which knowing makes sense, thinking back out how you laid out so many shots of Silver. How has that history and current position at PLAYMOBIL informed your work on Silver and vice versa? SF: My background in film informs my comics work in the sense that I bring my film language chops to the page. It’s interesting that there currently is a huge influx of new readers that are coming to comics because they’ve discovered those worlds in movies or on TV, and are trying to get to the source. But one of the most common complains I hear is that they try to engage with the medium, but get confused by the storytelling. Film language is all about the audience never getting confused (unless it’s on purpose), and most audiences have a great short-hand with it by now. Hopefully, bringing a cinematic approach to the page makes comic book-reading accessible to as many folks as possible. And I must say that people regularly come to me at shows to tell me they are new comics readers, and that Silver is what got them in. I am of course, super stoked about that! 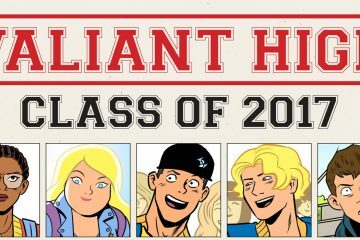 FS: Moving on to the Kickstarter campaign, what can you tell us about where we find Finnigan, Sledge, and company at the beginning of volume 3? SF: So Volume 3 was an introduction to the world, and to a set of characters that I hope were compelling and fun to discover. In Volume 2, the con gets underway, and all the pieces are put into place. Volume 3 is where all hell breaks loose. It’s the moment when the roller coaster crests over, and come barreling down. It is the most intense, action-packed, gothic one yet. It is also the most emotional where all the characters (good ones and bad ones) get pushed past their breaking point. Also, this is the one where deep secrets come out! FS: What can you tell us about what kind of Kickstarter rewards to expect for contributors? SF: This KS is first and foremost about the books. It lets you continue the series with Volume 3 if you’re already a fan, but if you are new to it also lets you catch up with Vol. 1 & 2 with great bundle deals. We also offer some cool limited edition prints. They are all signed and numbered, and are all very striking. We also have super fun Silver-themed phone cases that happen to have a fun “Spidey power”. They are laser-cut with micro grooves that are too small for your hand to feel, but that makes them sort of stick to glass and metal! Like some people have forgotten them on the roof of their car, and the phone was still there when they got home! So dudes stick them to their mirror and watch the game when they shave… that type of thing! Last of not least, I am also putting up two of my favorite originals: One is an epic giant piece that showcases Silver’s entire cast of characters, and the other one is the cover of the French edition. The Kickstarter campaign for Silver volume 3 is underway now. Check out the site and considering contributing to this novel and compelling work. It’s been over 30 years since Professor Abraham Van Helsing visited Dracula’s castle. Now his descendent, the mysterious vampire hunter Rosalyn Van Helsing, is teaming up with a ragtag group of con men for a high stakes heist to rob Europe’s richest vampires. 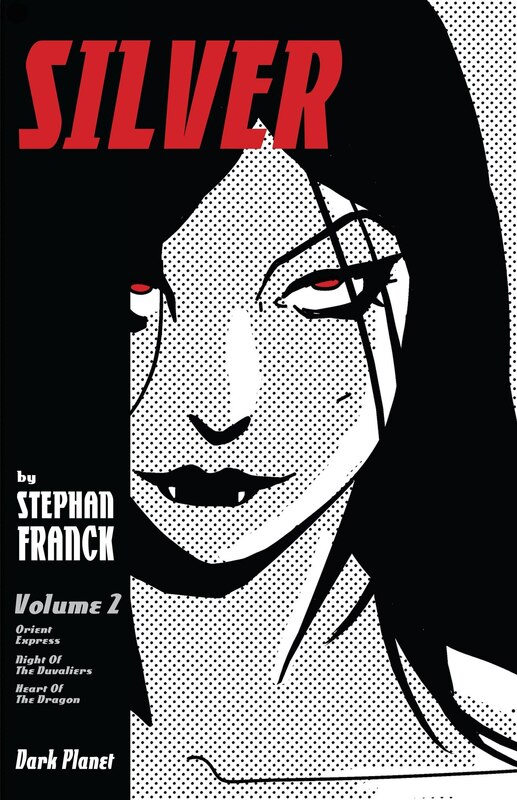 Welcome to the world of Stephan Franck’s SILVER, a globe-trotting graphic novel series that mashes up the world of Bram Stoker’s classic novel Dracula with action, adventure, humor, pulp storytelling and modern sensibilities. As Batman: The Long Halloween artist Tim Sale has said, “With SILVER, Stephan Franck shows how much excitement can be packed into a fast-moving, thrill-filled story… a really, really fun ride.” Having previously funded the first two volumes of SILVER via Kickstarter, Franck and his company Dark Planet Comics are launching a Kickstarter campaign to fund the third volume of SILVER and help bring the first two volumes to a wider audience. 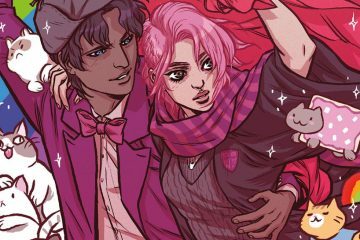 Now Franck is back with more of the SILVER story, and in Volume Three the con is in full swing and James Finnigan’s uniquely talented band of grifters is deep undercover. But talent comes at a price. Secrets and agendas emerge, and characters are pushed past their breaking points. While Finnigan struggles to keep his team on track, thrilling action, suspense, and drama ensues in the most intense and gothic volume yet.